It’s time for a review! 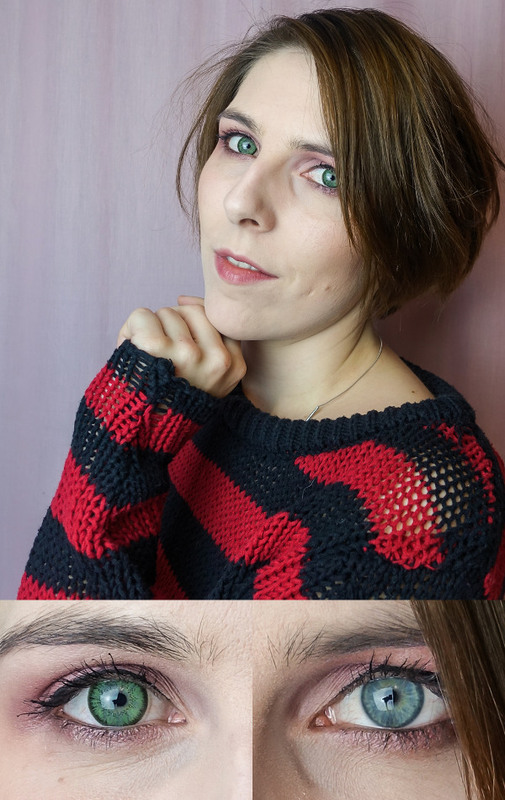 Coloured Contacts gave me the opportunity to choose three different pairs of contact lenses. I decided to choose a natural brown, a natural green and an outstanding colour as purple. Coloured Contacts is a UK based shop who has been trading colored eye fashion and cosmetic accessoires for over 20 years. They trade contact lenses with a duration of 1 day, 30 days or 90 days and they offer contact lenses with diameters from 13.8 to 14.5. Below in the slider you see all three different pairs of contact lenses which I chose. The violet contact lenses have a duration of 90 days, with a diameter of 14.5 and cost about 8.99 GBP (12,99€). The first thing I noticed as I put in the contact lenses is the bright color. 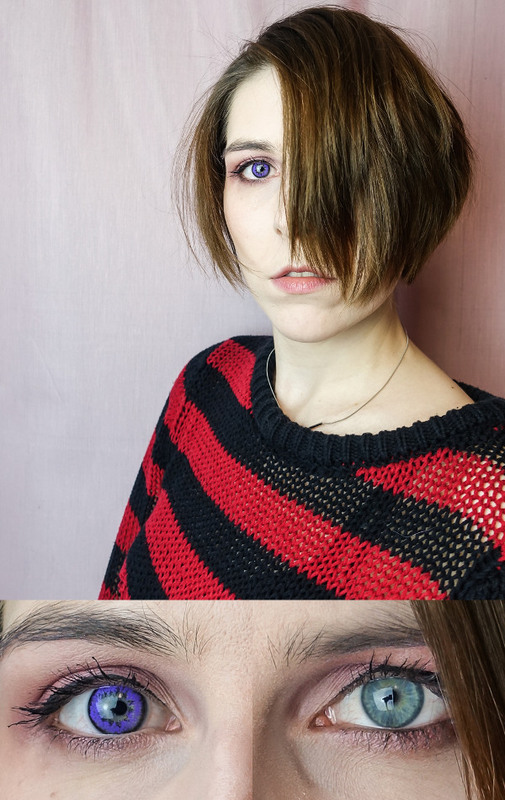 Honestly I’ve never seen such intense purple coloured contact lenses. They are not only purple but also have a dark border which I really like. Dark borders can help to cover your eyes completly. Even so they have a diameter of 14.5 they are not covered in color completly. There is a small surrounding without any colour. I was able to put in the contacts very easily. They were also very comfortable to wear, I didn’t even notice them. 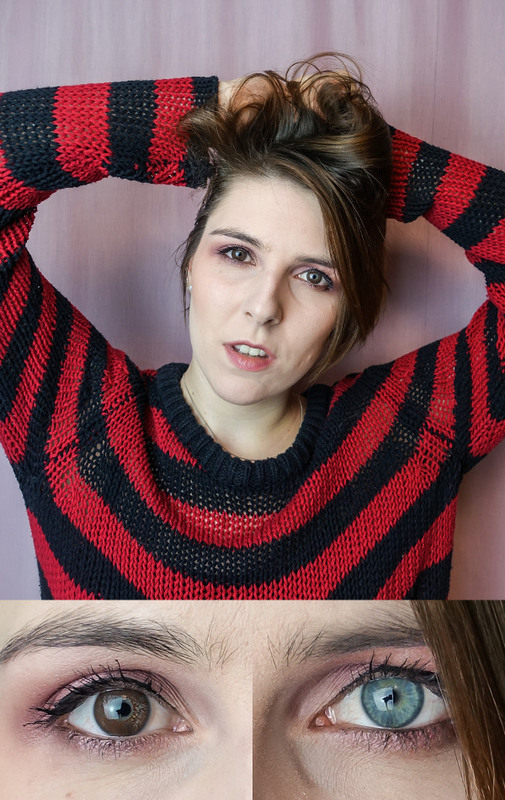 I’m a huge fan of the color and if you want to use a poppin’ colour I can only recommend these lenses for you. The brown contact lenses have a duration of 90 days, with a diameter of 14.5 and cost about 8.99 GBP (12,99€). I chose brown contact lenses since I was always searching for natural looking ones on bright eyes. Well I guess, I have found some. The Brown One Town contact lenses are only made with one colour. No dark border but also a small surrounding without any colour. The contacts were very comfortable to wear and I was able to put them in very easily. They create a natural effect of brown eyes, even so you can’t avoid that your bright eyes will still shine through a little bit. I mentioned the small surrounding which was left free and well I think this space could have been less. If you take a closer look to the contacts you can see that some edges of my own colour looks through. But all in all I like the effect of natural brown eyes that is given here. The green contact lenses have a duration of 90 days, with a diameter of 14.5 and cost about 8.99 GBP (12,99€). The green lenses were the first ones which I tested. I put them into my eye on first try but I was able to feel the contacts. They were not as comfortable as the brown and purple ones. Similar to the purple contact lenses the green ones also have a dark borders which frame the green. I really like this effect, they help to create an intense look. Looking at the pictures you can see that they create a natural green, even so the dark border is a little bit too dark for an overall natural look. But using it for cosplay several characters pop up my mind. All in all I really like the contacts which I’ve got from Coloured Contacts! Mostly I use contact lenses with a duration of a year but honestly I think that contact lenses with less duration are way more hygienic. Don’t you think?